Mario Díaz, Esq., serves as Concerned Women for America’s (CWA) General Counsel and leads CWA’s Legal Studies Department. 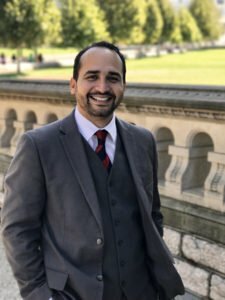 Mr. Diaz is a Constitutional Law expert who focuses on cases and legislation dealing with CWA’s core issues: religious liberty, the sanctity of human life, defense of the family, sexual exploitation, education, national sovereignty, and support for Israel. He directs CWA’s amicus briefs program and our work on judicial nominations and against judicial activism. Mr. Diaz is the author of Be Spent: Winning the Fight for Freedom’s Survival. His columns are regularly featured in several media outlets, including The Washington Times, The Christian Post, Human Events, First Things, The Blaze, American Thinker, CNS NewsBarbwire, WorldNetDaily, Townhall and other outlets, as requested. Mr. Diaz is also a media commentator who has appeared on networks like CNN, FOX, Univision, and Voice of America, both in English and Spanish. As a public speaker with experience at numerous conferences, including the well-known Conservative Political Action Conference (CPAC), he engages audiences to think through the way a Biblical worldview affects policy matters. Mario also speaks at churches and schools about legal matters and America’s founding principles. Mr. Diaz obtained his Juris Doctor from the Catholic University of America’s Columbus School of Law in Washington, D.C. And is pursuing a Masters in Theological Studies from Southwestern Baptist Theological Seminary, recently spending some time in Oxford studying church history and philosophy. Mr. Diaz is also a music minister and lives in Virginia with his wife and four children. Keep up with Mario’s work on Twitter @mariodiazesq and catch his latest writings, on CWA’s Legal Studies Page.